Will the Marvel Movies Timeline Ever Make Sense? The Marvel Cinematic Universe hasn’t handled its own timeline very well, and Sony’s Spider-Man: Homecoming somehow managed to convolute it even further. Now, Infinity War is on the horizon, bringing in more of the MCU characters together than ever before. But the timeline is nowhere close to being put on the right path, and Marvel Studios president Kevin Feige still doesn’t have a clear answer of how to fix it. It wasn’t meant to flummox anybody exactly, and I’m not sure I’d do it again the same way, but it does all connect to where we placed it. Other than very particular instances where there’s a newspaper, or verbal reference to years, we never date the films. And I think there’s a presumption, “Well if the movie came out in November 2017, it must take place in November 2017,”which is not the case. This seems to contradict the already stark number of contradictions in Marvel’s timeline. For the past near-decade, Marvel fans have assumed—given the way that technology, fashion, etc. correspond to roughly the time the film came out—that the events of each movie have corresponded with the year that they came out in theaters. And Marvel rarely contradicts that assumption. For example, The Avengers was released in 2012, following years of movies establishing its characters, so it presumably happened in 2012. Of course, that could be an artificial timeline and everything could be just a few years older or newer, but Guardians of the Galaxy does muck that theory up a bit. Barring Captain America: First Avenger, which was a historical prequel, the main exception to the no-time timeline rule has been Guardians of the Galaxy Vols. 1 and 2, which were set in 2014. That gives us an actual basis for Infinity War, which Feige previously said takes place four years after Guardians 2, matching it up with its planned 2018 release. That said, Feige did note it was Gunn’s decision to set it in 2014, not Marvel’s as a whole. So, how does Spider-Man: Homecoming fit in? In a few words, not very well. The film states that it takes place eight years after The Avengers, but if the events of that movie happened in 2012, that would put Homecoming in 2020...two years after Infinity War. 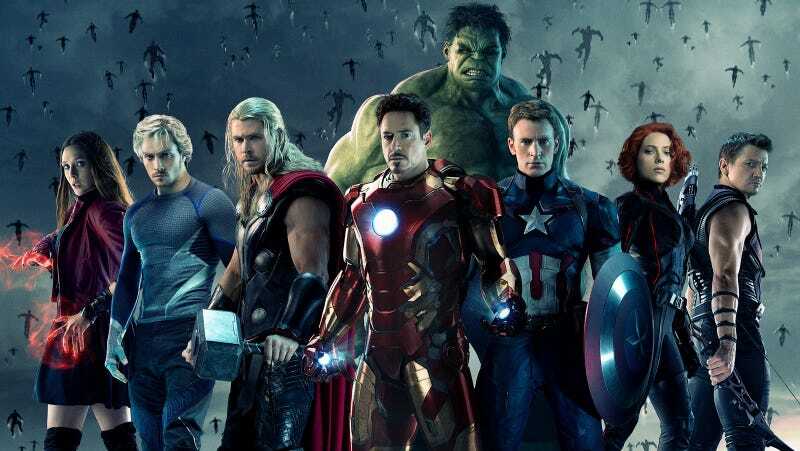 As of now, the most logical way it could work is if The Avengers actually took place on or before 2009—but that would either put it in conflict with almost all its prior MCU films, including Iron Man, or it would mean The Avengers have been avenging at least nine years together before Infinity War even takes place. That said, it would fit with how Vision says Tony Stark announced he was Iron Man eight years before Civil War—putting the Nick Fury week of Avengers gathering right on track for a 2009 team-up timeline. So, does that mean The Avengers happened the same year as President Barack Obama’s inauguration and Jersey Shore was at its peak? No, it means Marvel hasn’t come up with a solution, and there may never be one. Like the X-Men movies, Marvel has managed to recreate comic book time in realtime; Marvel’s timeline is all mucked up, it’ll keep being mucked up, and Tony Stark is Jesus.